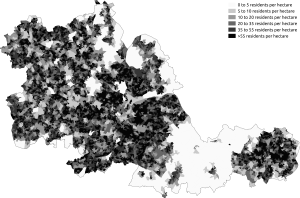 The West Midlands is a metropolitan county in western-central England with a 2014 estimated population of 2,808,356, making it the second most populous county in England after Greater London. 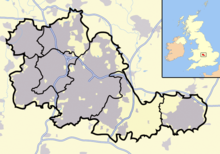 It came into existence as a metropolitan county in 1974 after the passage of the Local Government Act 1972, formed from parts of Staffordshire, Worcestershire and Warwickshire. 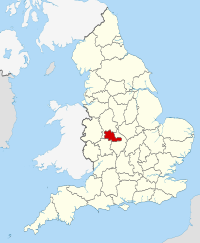 The county itself is a NUTS 2 region within the wider NUTS 1 region of the same name. 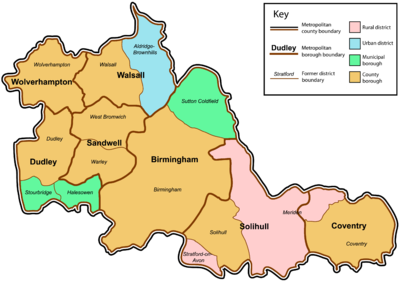 The county consists of seven metropolitan boroughs: the City of Birmingham, the City of Coventry and the City of Wolverhampton, as well as the boroughs of Dudley, Sandwell, Solihull and Walsall. Between 1974 and 1986, the county had a two-tier system of local government, and the seven districts shared power with the West Midlands County Council. However, the Local Government Act 1985 abolished the metropolitan county councils, and the West Midlands County Council ceased to exist in 1986. Most of its functions were devolved to the West Midland boroughs, which effectively became unitary authorities, with responsibility for most local authority functions. ^ a b c Whitaker's Almanack 1974, complete edition (106th ed.). London: J. Whitaker & Sons. 1973 . p. 672. ISBN 0-85021-067-4.